Biochar is simply a specialized form of charcoal that is suitable for use as a soil amendment (typically combined with compost) to increase agricultural crop yields and conserve nutrients and water. 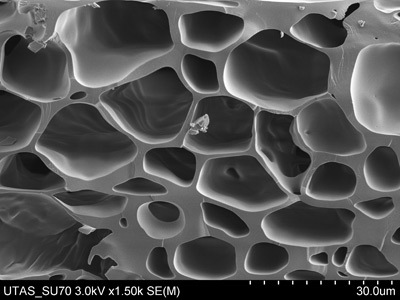 Biochar is able to fulfill these functions because of its unique physical structure, with literally millions of tiny pores that hold the nutrients and water for the plants’ roots to access and enjoy. In many ways it’s akin to a coral reef in the ocean, acting as a natural attractant, sanctuary, and incubator by creating infrastructure for billions of organisms to thrive. The biochar is then placed into the soil by farmers….in their fields of crops, in orchards, in vineyards. They “plow it in” or “till it in” just like they normally do with regular compost or with chemical fertilizers. Field tests have shown that the worse the soil’s characteristics are when the biochar is added to it, the more positive the impact on crop yields. 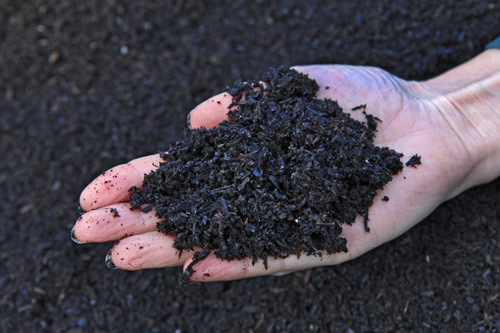 Biochar mixed with compost makes a rich soil amendment for your farm, ranch or garden. Once large volumes of biochar are available for commercial use, it can be used widely around the world by literally millions of farmers. Imagine the impact in Africa and Eastern Europe and Southeast Asia and Patagonia. In almost every country, biochar can be added economically in pasture land and chicken coops as well as in “farms” of all kinds. In many settings, we could get the farmers to “donate” their woody wastes to the biochar production unit operators and receive in exchange not cash but biochar. The same truck that brought the waste wood to the production site (assembly area) could be used to return bags of biochar to the same farmer. The world could shift from patterns of “slash and burn” agriculture to “slash and char” instead. 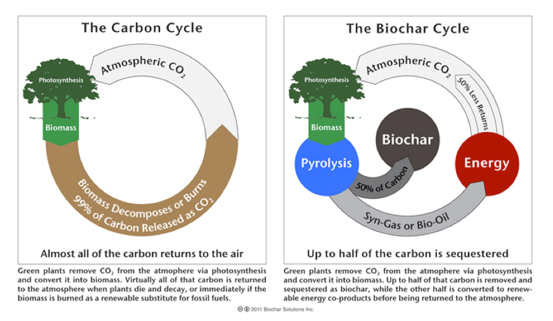 Biochar production and use prevents a percentage of the biomass feedstock used from decaying and returning C02 to the atmosphere. Renewable energy made from biochar production is therefore considered carbon negative by the National Renewable Energy Lab.